Maestro Haig Utidjian, a professional orchestral and opera conductor, and choirmaster from Prague will present a lecture entitled, “Yeghia Dndesian and the Music of the Armenian Sharagnots-Hymnal” on Thursday, March 7, 2013 at 8:00PM at the Armenian Church of the Holy Martyrs, 209-15 Horace Harding Expwy, Oakland Gardens, New York. The lecture is co-sponsored by the Zohrab Center and Holy Martyrs Armenian Church; and has been subsidized by a research grant from the Philosophical Faculty of Charles University in Prague, VG180. An unsung hero, the Constantinople-born musician Yeghia Dndesian (1834-1881) is a towering figure in 19th-century Armenian musicology. His largely neglected version of the Armenian Sharagnots-Hymnal, published posthumously in 1934, was one of the earliest efforts to transcribe Armenian Church melodies encoded in the ancient Armenian neumatic sysmbols known as khaz. Maestro Utidjian will examine this masterwork, analyzing Dndesian’s methods and making comparative observations based on the composer’s theoretical writings. An ordained deacon of the Armenian Church and native of Cyprus, Maestro Utidjian has served as Music Director of the Chamber Orchestra of Sussex, the Ensemble Duparc, and the North Bohemian Chamber Orchestra, and also worked on a number of acclaimed productions at the Opera House in Liberec. 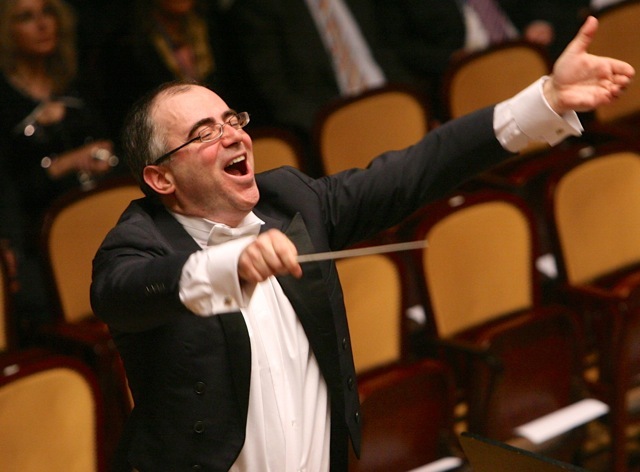 He has guest-conducted in the UK, Germany, France, Belgium, Italy, Hungary, Armenia and Cyprus. All are welcome to attend the lecture, which is free of charge. A reception will follow.